The Wild Neighbors Database Project team will be presenting Wildlife Rehabilitation MD at this years California Council for Wildlife Rehabilitators Symposium. The symposium is at the Hilton Hotel in Orange County/Costa Mesa on November 15th – 17th. Our presentation will be on November 16 at 2:40 in the Pacific Ballroom I. Sign up soon to see us there! We posted a video on our Youtube Channel demonstrating some of the changes that have been introduced in Wildlife Rehabilitation MD 2.0. Check it out! Welcome to Wildlife Rehabilitation MD 2.0! With the help of a successful Kickstarter campaign we were able to give WRMD a major overhaul as well as move it to a new server that is faster, more secure and much more reliable. This will benefit all users. 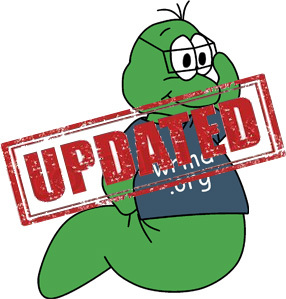 Over the past few months we have issued a number of updates and bug fixes that together make WRMD far stronger than before. These updates and bug fixes were identified by our users and we have responded. Thank you for all your comments and ideas! This is a community database and can only improve with involvement from our community. The single most important update is the speed improvement. Wildlife Rehabilitation MD 2.0 is 140% faster than before! This is partly because of the faster server but also because the underlining code has been rewritten and is tremendously more efficient. This update also introduces better locking of a case to be used by only one user at a time. Once you go to a case you become the “owner” of that case and it can only be viewed by other users, not edited. After 2 minutes of inactivity on your part, the case then becomes open for the next person to make edits and “own” it. (A video will be released shortly demonstrating this behavior). After some very helpful feedback from the users we are suspending a portion of the case lock feature. This suspension includes the “owner” of the case being locked out after 2 minutes of inactivity. However other users will still not be able to edit a record while it is “owned” by another user at the same time. This feature is a critical part of maintaining data integrity and so we will continue to investigate ways of preventing multiple users from editing a case at the same time. Thanks for the feedback everyone! We also have developed a way for users to admit any species they want. You still admit your animals as before using the autocomplete drop-down list but now you may also write in a species name that WRMD is not familiar with. This is great for those times that you receive a random animal or you need to catch your records up in the database. This feature is not without its drawbacks. Cases with your own species names will have less accurate reporting, so be sure to use know species when ever possible. This update is also much more adaptive to international users. The list of available countries is currently short but can be expanded easily as needed. A Husbandry extension is being introduced for those that want to record the daily husbandry observations and diet for their patients. Quick Admit was actually released a few weeks ago but it’s still part of the new extension family. Quick Admit is perfect for those times that you just need to quickly create a new record and can’t be bothered with all the fields on the New Case screen. If you are behind on your records and want to catch up before the year is over you can use this extension to create your records. Then just fill in their disposition and at the very least you will be able to generate your year end reports. WRMD Backup introduces a feature that is, understandably, highly requested. It allows you to create a backup file of your entire database in just one click. As of this writing we consider WRMD Backup to be a stable BETA version. BETA only because it does not have all the feature that we want to add to it just yet. Those features will be added in due time. As with the core of WRMD, all the existing extensions have been rewritten and are much faster and more efficient. Nearly all of them received some new feature such as a conclusion section at the end of the necropsy report. At the time of this writing there are still a few extension updates coming down the pipes including adding in a simple volunteer database that can tie directly to the homecare extension making it so much easier to create consistent homecare records. This database is only possible because of the support of the users, the Kickstarter campaign backers and everyone else that has offed a helping hand. We wish that we could hug all of you. 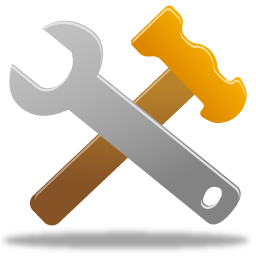 On Saturday September 21 at 10 pm PST we will be performing maintenance on the server that Wildlife Rehabilitation MD is hosted on. This maintenance is being performed to upgrade the servers that Wildlife Rehabilitation MD are hosted on. As well as the server upgrade, Wildlife Rehabilitation MD will also recieve a number of upgrades to the underlining software which will introducing significant speed improvements. For specific details on the upgrades visit wrmd.org/about/updates. Users should avoid using Wildlife Rehabilitation MD between Saturday September 21 at 10 pm and Sunday September 22 at 4 am PST or you may experience odd behaviors from the site. Last weekend Devin and I set out for a Wildlife Rehabilitation MD road trip. Our goal was to visit a hand full of centers and see how things were going. Since this is the first year that we have several accounts we wanted to get feedback on WRMD. Our first stop was The Wildlife Center of Silicon Valley. They have been actively using WRMD for the past year. We met with 3 of their staff members for at least 3 hours. They had some really great feedback and had discovered a few bugs in the program. Thanks to them we now have a conclusion field in the necropsy extensions. We also started a conversation on a new way to work with enclosure and enclosure history fields. The next place we visited was Monterey SPCA. They have been admitting this years records to be able to generate the year end report. They plan to start using WRMD much more actively on January 1st 2014. In October we are going to visit them again to train their staff on how to use WRMD and how to best integrate it into their facility. Our last stop was Pacific Wildlife Care in Morro Bay. 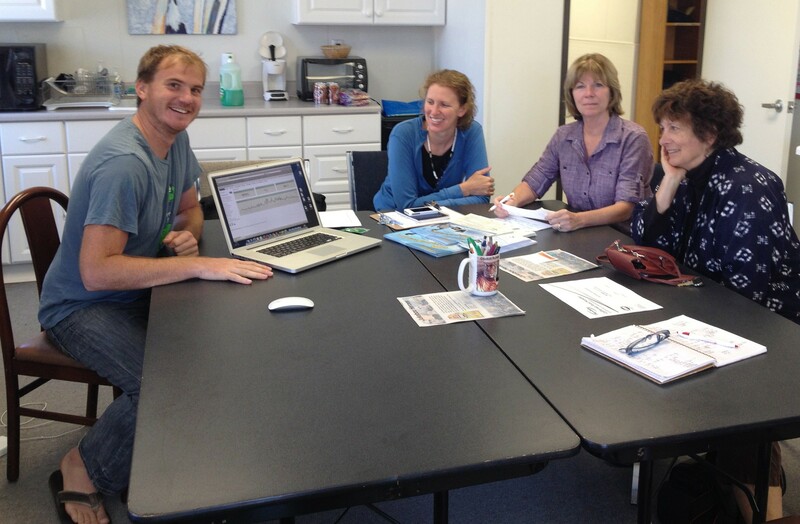 We met with their board president, director of operations and their veterinarian. They have been actively using WRMD for a year. They suggested new and more specific analytics measurements that they could then use in their communications to their members and the public. We also discussed the possibility for a medication calculator to help with calculating prescriptions. All in all it was a wonderful trip. We received great feedback that will help us improve Wildlife Rehabilitation MD for current and future user’s. If you would like to meet with us to discuss the program let us know, we might just be in your area soon! Over the past few months we have had some very exciting developments regarding the business-side of Wildlife Rehabilitation md. In late April we officially founded the organization that manages Wildlife Rehabilitation md as a nonprofit organization. Our nonprofit is called The Wild Neighbors Database Project. The Wild Neighbors Database Project previously existed as a sole proprietorship. Many wildlife rehabilitation organizations have made generous contributions to help our growth as well as admit thousands of records in a very short amount of time. In response to this, it has become very clear to us that we need to step up to the plate and put on our “professional hat.” We are taking our responsibility as caretakers of their data very serious and to better protect their data and our reputation we new that we needed to become an official nonprofit organization. Along with the nonprofit status we have also given The Wild Neighbors Database Project an official logo and a brand new website. It’s a simple site, meant to share our purpose and connection with the wildlife rehabilitation community across the globe. Our logo, designed by Jennifer Brazil Designs, symbolizes the philosophy of coming together to share experiences and knowledge to benefit the future. Visit http://wildneighborsdp.org to learn more about who we really are. The Wild Neighbors Database Project exists with the goal of promoting wildlife rehabilitation, internationally, by developing online software that can be used to gather and exchange data. We are helping the wildlife rehabilitation community share their experiences and expertise, so that together we can learn from each other and continue to improve our best practices. Amongst the community there exist a wealth of knowledge that is at risk of being lost. Our purpose is to provide platforms that can be used to document, archive and share that knowledge. In short, we are empowering the community to use our collective experiences to save more lives. We think that our mission statement “Sharing Our Experiences to Save More Lives” sums it up pretty nicely.